Can an hotel be termed a piece of public art? Loving travel, art and architecture, I do so enjoy it when my interests collide. Having recently visited Fairmont Baku, Flame Towers, Azerbaijan – the entire building is a sculpture, shaped in the form of a flame to represent Azerbaijan, the land of fire – in essence, a piece of public art to be enjoyed by all. 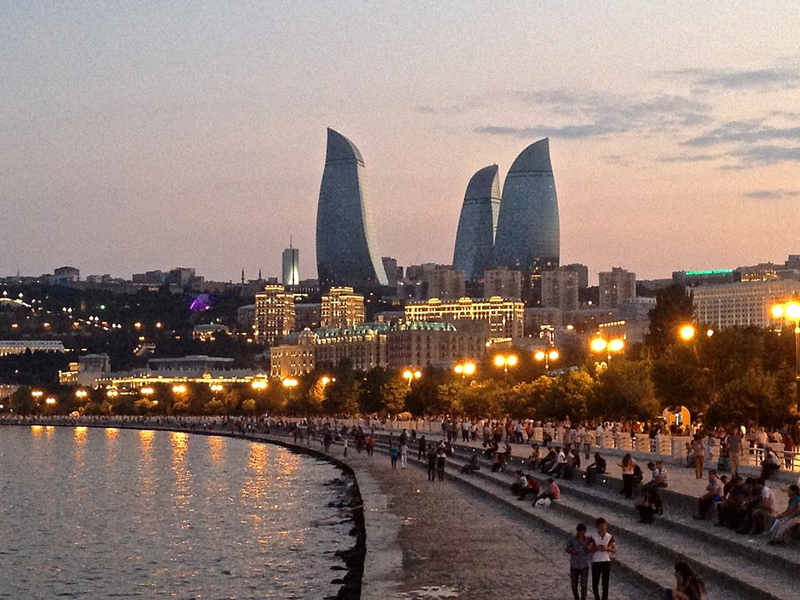 It isn’t just the shape that’s of interest in Baku, but more about that later. (lying on top of a building, the clouds looked no nearer than when I was lying on the street). The two feet letters are meticulously constructed from stainless steel – their joints welded and ground and their surfaces buffed and brushed to create a seamless finish. This million-dollar commission by Westbank and Peterson investment Group is celebrated as one of the latest additions to the City of Vancouver’s Public Art collection. 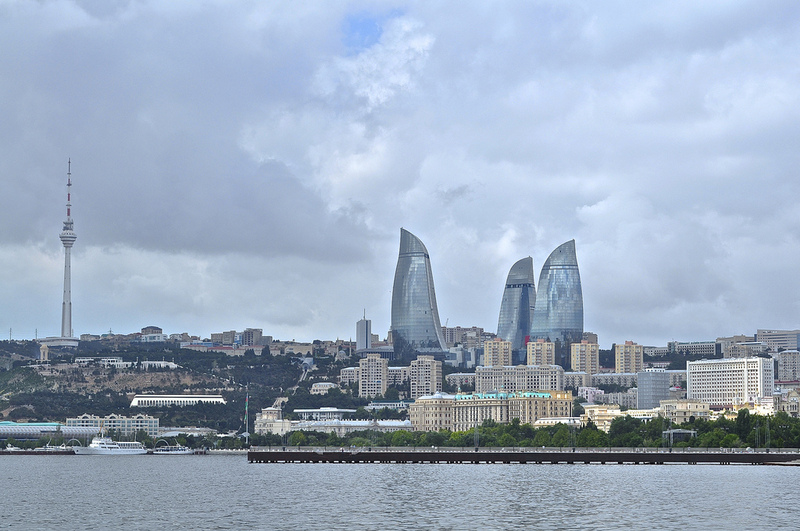 More recently however, in the city of Baku, Azerbaijan, the Flame Towers Complex with Fairmont Baku, Flame Towers in its northernmost tower – has taken its public art display in a different direction. Previewed at the 2012 Eurovision Song Contest May 2012 and dubbed the biggest media façade application in the world, The Flame Towers complex showcases a cutting edge external light show enabling flowing light animations to be displayed on each of the three towers every evening when day turns into dusk. This amazing spectacle is a result of three years hard work and planning by Francis Krahe and his team at Francis Krahe & Associates, collaborating with architect Barry Hughes of HOK international and the owners of the Flame Towers complex. High grade LED strips have been fitted above each window in the complex that are individually controlled, enabling the movement of colour and patterns which can be created on the skin of the building. Each of the three towers can be operated independently with its own computer, or in a synchronised fashion using a central hub computer system which controls all three buildings. 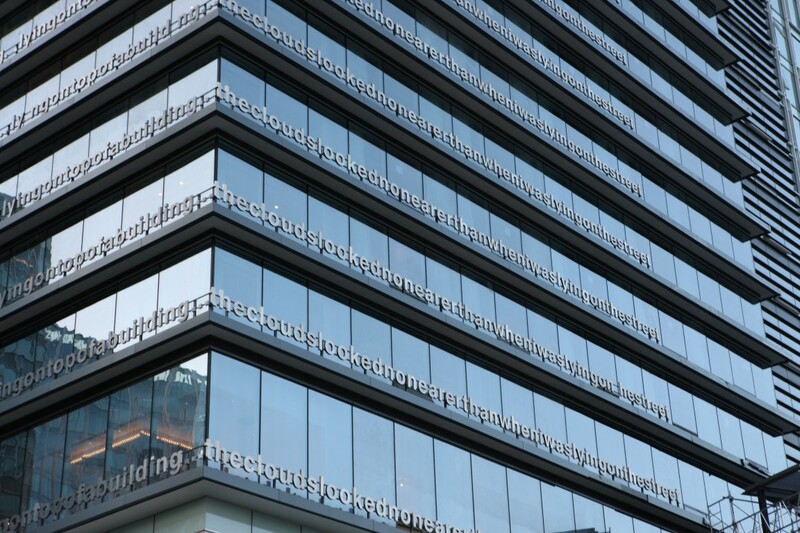 So – if you visit either Vancouver or Baku, don’t forget to look up to appreciate these displays of public art! Contributor: Sue Lowry. Baku images and video by Sue Lowry. Fairmont Pacific Rim images courtesy of the hotel. Fairmont Baku is a client of Magellan PR. Follow them on twitter @FairmontBaku or on Facebook/ Fairmont Baku. 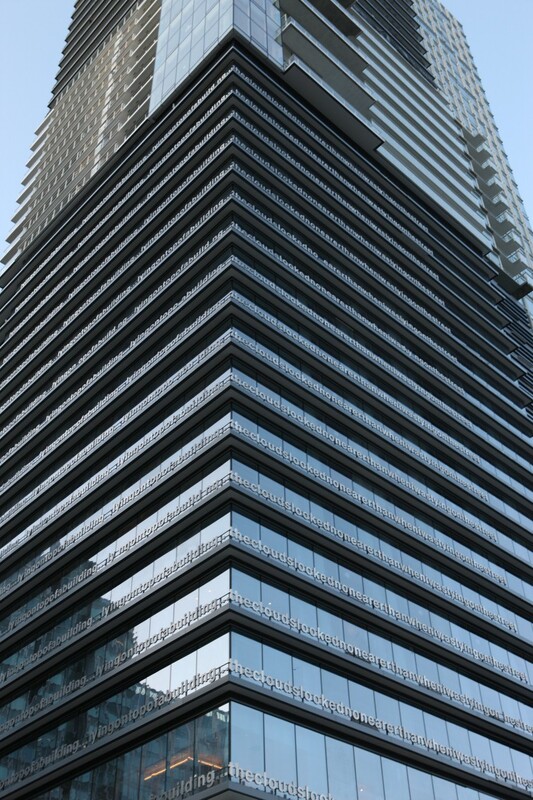 Fairmont Pacific Rim is on twitter @FairmontPacific and on Facebook/Fairmont Pacific Rim. « A new discovery: Paris-Brest!